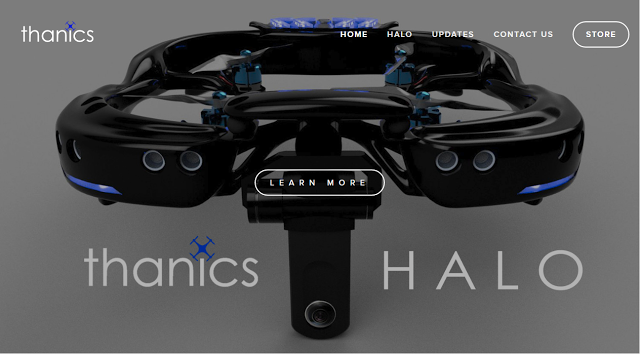 Thanics Halo is a semi-autonomous quadcopter designed specifically for the Ricoh Theta S.
Thanics Halo is a quadcopter with an array of ultrasonic sensors that allow it to operate semi-autonomously. Halo is designed to use the Ricoh Theta S to capture 360 photos and videos. 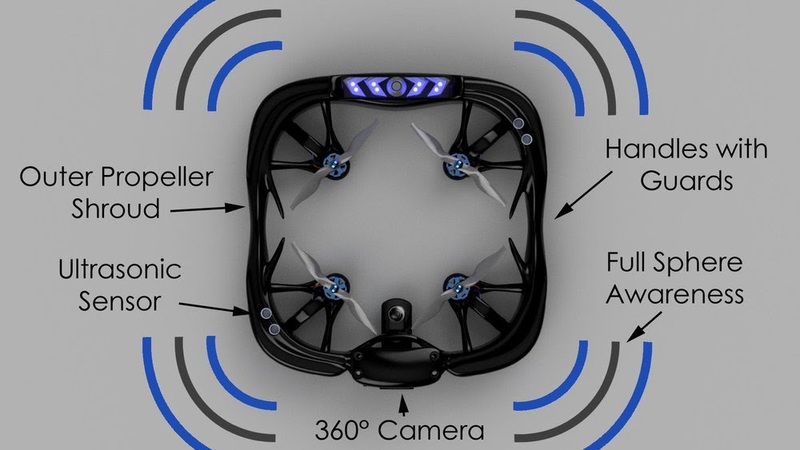 In addition, it can live stream a 360 view for first person view (FPV) flying, giving users with a VR headset a 360 aerial view. When landing, the Theta will fold inward (see above) while the retractable legs deploy. Halo will reportedly cost $1600. I am inquiring with Thanics Robotics to get further information and to find out if they will be adapting the Halo for other 360 cameras as well. Update: I spoke with Thanics and they said the Halo can use the Theta horizontally (which would make the drone less prominent in the shot). Thanics also said Halo will be able to use other 360 cameras such as the Samsung Gear 360, Nikon Keymission 360 and Orbit360, but they might not have FPV capabilities.